Born Kay Adroa, Kay Amin was the fourth wife of Ugandan dictator Idi Amin. In 2006, Kay was portrayed on camera by Kerry Washington in the movie “The Last King of Scotland”, based on a fictional novel about real life Ugandan ex-ruler Idi Amin during his reign. 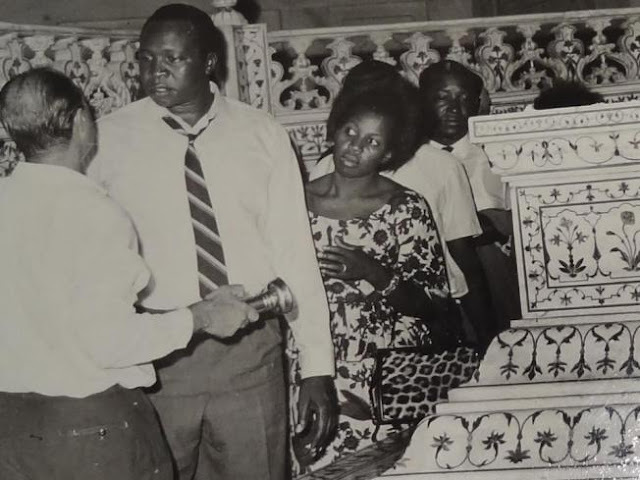 On August 14, 1974, Uganda witnessed one of the most gruesome homicides, the death of Kay Adroa Amin, found decapitated in the car of her lover. Kay grew up in the Ugandan town of Paranga, Maracha County in Arua District. She was the daughter of a clergyman, the Rev. Adroa, who was good friend with Amin. 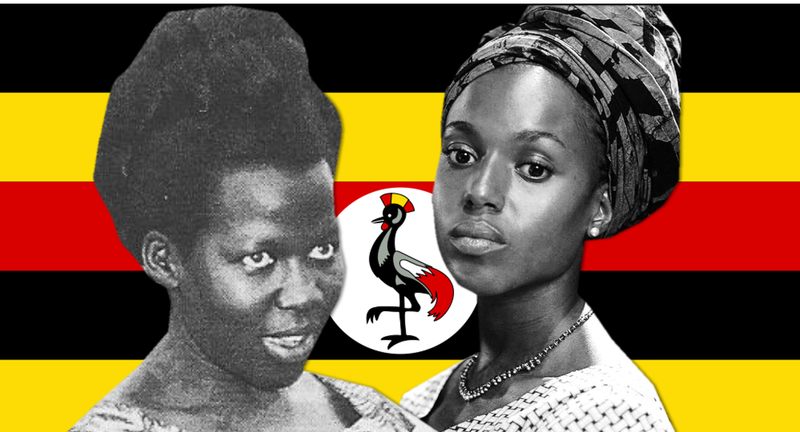 She was attending Makerere University in Kampala when she caught the eye of Uganda dictator Idi Amin in the early 1960s. Their wedding was conducted in a registrar's office, hardly four months after Amin formalised his marriage to Malyamu. The reception, held in Arua, Kay and Amin's home town, was well attended. The year was 1966. Kay was a beautiful and intelligent woman, Amin did not remain faithful to her for long, thanks to his love for women, which had earned him the nickname Dada. It wasn't long before he spotted and took a third wife, Nora. Naturally, Amin's love for Kay diminished with his new catch. In his book, State of Blood, Henry Kyemba, the Minister of Health at the time, writes that Amin had no time for his wives. They were abandoned in his presidential lodges for up to two years and so it was only a matter of time before they found new loves to fill their empty days. A married doctor called Peter Mbalu Mukasa was Kay's choice. Mukasa, then a senior pathologist at Mulago Hospital, was the perfect match for Kay. Like her, he was educated, intelligent and married, but available. One of the long-serving mortuary attendants at the time, George William Ssebuliba, describes Mukasa as a brilliant doctor who was devoted to his work, and time-conscious. Kay and Mukasa's love blossomed, and before long, she was confident enough to gang up with Amin's other wives to their husband for his infidelity. By then, Amin had taken Madina as his fourth wife. In early 1974, the three rejected wives decided to throw a party without Amin's permission. Kyemba writes that Amin was furious when his guards told him about the party. "He got on the phone to his recalcitrant wives, threatening to come over directly and throw them out. The women, who had all been drinking, told him he could keep Madina and go to hell. They then dismissed the bodyguards and locked the doors." This was the last straw for Amin. He summarily divorced the three stubborn women over national radio the following day - March 26, 1974. He also sent them 'divorce letters' moments before they heard the radio announcement. Amin's explanation for Kay's dismissal was that she was his close cousin and that their relation was too close for an acceptable husband and wife relationship. This argument, however, did not hold when Kay's father pleaded with Amin to consider the good name of the Adroa family and take Kay back as his wife. Amin granted Rev. Adroa's request, but he was too late to win back Kay's love and affection. By then, she was already pregnant with Mukasa's child, a fact Amin was not aware of when he reinstated her as his wife. He, however, was not blind to Kay's rejection of his advances. Convinced that she had a lover, Amin resorted to stalking Kay and driving past her residence in the hope of nabbing her red-handed with her mysterious lover. 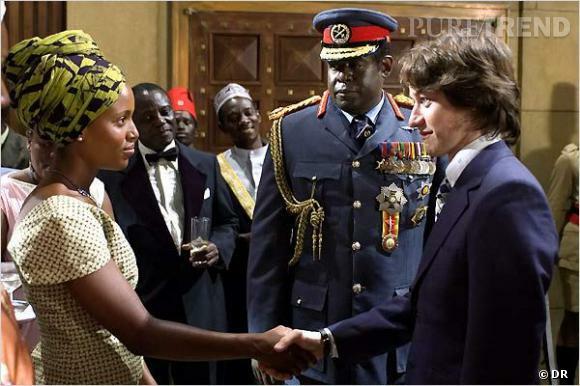 Kerry Washington playing Kay in "The Last King of Scotland"
But Kay was way too careful, so Amin resorted to trumping up charges against her. Early August 1974 saw her arrested and charged with the possession of a pistol and ammunition. Interestingly, the pistol was Amin's weapon, a fact she used to defend her way out of prison. It was in the aftermath of her arrest that Kay's gruesome death hit the nation on August 14, 1974. Only a day before Kay's death was confirmed, Mulago Hospital had been shocked by the news of Mukasa's death a few hours after he was admitted to the hospital. Ssebuliba's recalls that it was said that Mukasa had committed suicide, and that his wife and seven children were under observation at the hospital after taking poison. "They told us in the morning that our doctor had poisoned his whole family. We were still shaken by the news when the hospital sent a communication that Mukasa had died. People were talking about it throughout that morning. We were all shocked and puzzled that such a brilliant doctor had killed himself after a failed attempt to kill his entire family," Ssebuliba recalls. 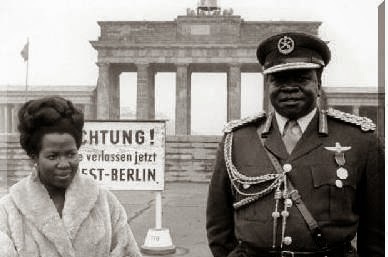 At the time, Ssebuliba and his colleagues had no idea that Amin's wife, Kay, had also died or that the two deaths were connected. They were also ignorant of the fact that Mukasa had been intimately involved with Kay. A number of tales surround Kay's death. Some say Amin ordered his men to shoot her and dump her body in a forest. Yusuf Emyedu, Amin's relative, claims Kay died in an accident in Namanve, where her disfigured body was discovered the same day. The most widely circulated tale, however, is that she was murdered by Amin himself, who later mutilated her body in one of his mad moments. The reason given for his brutal action is that she was carrying another man's child. This last theory is echoed in The Last King of Scotland, in which Kay has an affair with Amin's Scottish doctor. The doctor impregnates her and on learning this, Amin mutilates her. In his book, State of Blood, Kyemba writes: "My wife Teresa, who was then the matron in charge of Mulago Hospital, returned home and told me that just before she had left work the dismembered body of a woman had been brought into the mortuary. It was, she had been told, the body of Kay Amin." Kyemba writes: "The body was indeed that of Kay Amin. The legs and arms had been cut off. Lying on the shelf was the torso, face up, with the head intact. The torso was lying in a burlap sack, which had been slit open and folded back to expose its contents and to ease the task of identification. More sacking lay beside the torso. Underneath were the legs and arms. The dissection had been neatly done; no bones were broken; the ligaments in the points were carefully cut; there had been no tearing. The job had been done by an expert with the correct surgical instruments." 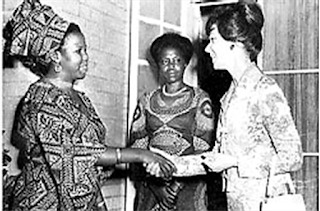 Media reports of Wednesday August 14, 1974 corroborate Kyemba's description of Kay's body. The reports revealed that Kay had died two days before her body was discovered. According to Voice of Uganda and Munno, the Police "found the body of a woman in Doctor Peter Mbalu Mukasa's personal car. The body had been cut into pieces with both legs cut off to the hip and both arms cut off to the shoulder joints. The trunk of the body was dressed in a nightdress and packed in a sack and the legs and arms were also separately parked in other boxes and kept in the same car". Investigations revealed that Kay had died at Basirika Clinic, which belonged to Mukasa. One theory has it that since Mukasa was responsible for Kay's pregnancy, he was willing to perform an abortion before Amin got wind of it. In his book, Kyemba mentions that Mukasa was assisted by a Rwandese medical assistant. Apparently the abortion went wrong and Kay bled to death. In panic, the story goes, the two doctors dismembered Kay's body with the hope of disguising the cause of death. According to Voice of Uganda, "the doctor, having performed an unsuccessful and criminal operation on the woman, wanted to dispose of the body". The plan was for Mukasa to carry the body to his home. He, however, could not do this in the presence of his wife and seven children, so he gave them sleeping pills in the hope that they would remain asleep until he disposed of the body. Mukasa, it is claimed, then returned to the clinic, packed Kay's dismembered body in boxes and carried it to his home in his car trunk. However, he got cold feet before he disposed of the body and instead poisoned himself and was later discovered by a friend and rushed to Mulago Hospital along with his family, the story continues to say. It's the Police who discovered Kay's body and transported it to the city mortuary at Mulago. Ssebuliba recalls that Amin deployed soldiers at the mortuary to keep away members of the public. Under normal circumstances, Kay's body should have remained at the city mortuary, given the circumstances of her death. However, the Mulago mortuary staff received a call from the hospital head with directions to prepare for the arrival of Kay's body. "He told us that the body of the president's wife was to be brought to our hospital because the city mortuary was too open to public scrutiny and demeaning to her status as the wife of the president," Ssebuliba recalls. Kyemba, in a 1999 interview with the New Vision, said the transfer orders came directly from Amin, who had personally asked him to have Kay's body stitched at Mulago Hospital. Ssebuliba recalls that a Mulago Hospital ambulance transferred Kay's body from the city mortuary to the Mulago Hospital mortuary. However, her death is not recorded at Mulago. Although a city mortuary attendant who prefers anonymity insists Kay's death was registered, her name is missing from the city mortuary records of 1974. Ssebuliba recalls that Kay's body arrived at the Mulago Hospital mortuary at 10:00am. He says Kay's sister was one of the people who accompanied the body. Three hours later, Amin arrived, driving himself in a military Land Rover. "When Amin emerged from the vehicle," Ssebuliba narrates, "he was dressed in American khaki shorts then popularly described as mazzi ga lumonde, white stockings and a t-shirt." Flanked by two guards, he moved to where Kay's sister was seated and demanded that she explain the details of Kay's death. Although Amin showed keen interest in the details, his face remained impassive as Kay's sister gave the gruesome details. "He was standing with one of his legs on the chair and the other on the ground. Kay's sister was shaking, partly out of fear of Amin. She was crying as she explained the circumstances that had led to her sister's death, but Amin was calm and unmoved. She told him that Kay had gone to Mukasa for the abortion because he had been her doctor for a long time. Then Amin asked her: 'All the doctors in Uganda are mine, why didn't you come to me and get a good doctor?' 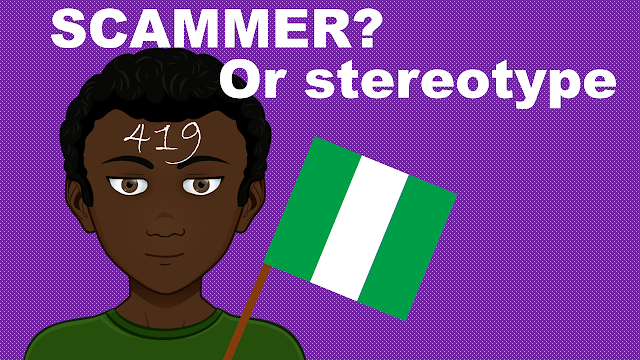 Amin asked this question several times but the girl could not answer. Amin later commanded his soldiers to take her away," Ssebuliba recollects. Amin then proceeded to the post-mortem room to monitor the stitching up of his wife. "We were nine workers in all," Ssebuliba remembers, "so we tried to look busy to show Amin that we had contributed to the stitching up of his wife. When we were done, we wrapped Kay's body in white cloth locally known as a suuka and laid it on a jeneza (a mat where corpses are laid in Islam)." A post-mortem report was released by the hospital. It read thus: The body was dismembered with a trunk alone in a gunny bag and the lower limbs and arms in separate cardboard boxes. The external wounds were consistent with the dismemberment of the body, which was done after the person had died. Internally, the woman had been three to four months pregnant and the foetus had been removed with the use of instruments. Pieces of the membranes had remained in the womb and caused severe bleeding. Five soaked pads were also found in the boxes. There was also a haemorrhage of the bowels. Cause of death was severe bleeding because of incomplete abortion performed using instruments." Both Munno and Voice of Uganda published the report, followed by a note that "the dismemberment of the body must have been done by someone with a very good knowledge of anatomy". One of the reasons why Amin is accused of killing Kay stems from his unusual conduct at the news of Kay's death. Kyemba writes that Amin did not react when he described to him how Kay had died. "I was shaking," Kyemba writes, "I got to him and said: 'Your Excellency, your former wife is dead, and in terrible circumstances, I understand.' There was no reaction. He just said: 'What has happened?' I said: 'The body is in pieces. It's dismembered in my mortuary.' He said: 'Have you been there?' I said: 'No.' He said: 'You go there and tell me exactly what it is like.'" After taking a few minutes to recover, I drove back to Nakasero Lodge and told Amin what I had seen. He expressed no surprise at all, but simply nodded, saying: 'Oh, is that what has been done? You go home now.'" Kyemba further writes that Amin ordered Kay's father and her three children, aged between four and eight, to view the body at the hospital. "Then, in front of television cameras and with reporters standing by, they went in to see the body. "Two days after this scene in the hospital, Kay's body was taken back to her birthplace near Arua by helicopter and buried. Amin did not attend the funeral, and did not even send a representative. "He never again mentioned her to me. That was the end of the matter. There were no further investigations by the police, and Kay was never referred to again." In view of his behaviour, it is not surprising that many have accused Amin as the murderer of his second and favourite wife, Kay Adroa. Although there has never been an explanation as to what really happened prior to and immediately after Kay's death, investigations leave no doubt that Kay's death was a result of excessive bleeding during a failed abortion.